Noosa businesses are being urged to “bag” some information on their responsibilities under Queensland’s looming state-wide ban on light-weight plastic shopping bags, due to come into effect from July next year. 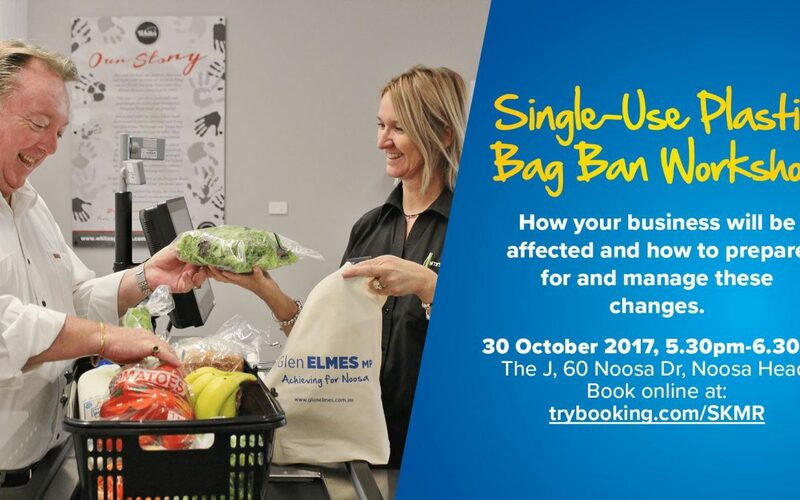 The NRA will be in Noosa on Monday 30 October touring local shopping centres and providing a free workshop for retailers preparing for the impending plastic bag ban. The NRA has joined forces with Local member for Noosa, Glen Elmes MP, to provide a free Plastic Bag Ban Workshop on Monday 30 October at 5.30pm in Noosa Heads. NRA Manager of Industry Policy David Stout said that it is vital that all businesses are up to speed with their responsibilities now in order to be well-prepared for next year’s ban. “All retail businesses currently using plastic bags face important business decisions over the next few months, Mr Stout said.